HitZones (Icons) Korean Random for WoT Blitz | WoT Blitz 5.9 - Fan Site! We present our very popular modifications that are downloaded and installed millions of players – HitZones for Korean Random WoT Blitz. With this mod you can find all the weaknesses of your enemy. 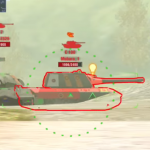 This modification has the advantage over the other, because it does not repaint the tank making it colorful and just puts a mark in the form of a neat white icons. 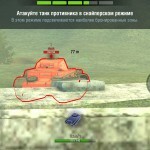 Each icon has its value, falling into which you can undermine the ammunition tanks or kill the commander. This modification can be used, both beginners and professionals. what the device you have play ? how long you provide version for iOS ? I really really want it …. Can you please make this for adreno, I really like the design in this one. Is there a file for adreno? Is it works with v. 2.1? please make one version for iOS !!!! please !!!! it doesn’t work on asus too good. many parts of taks are separated from each other. Author no answer any question 🙁 so sad !!! how can let he see our comment ? 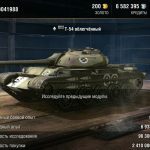 The most UdSSR tanks haven’t got a new skin with hilighted weakspots. Very good. It works perfectly. Hope more counties and tanks were applied. can you make a video on how to do the steps? when i paste it,do i overwrite the original files? 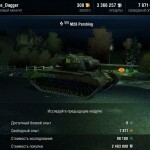 Will this mod work for wot blitz 2.4.0 in android? cool thx. endlich n tut auf deutsch als vid. It work good. But if the tank have camo, the weakspots, ammo, engine all is not clear. It’s hard to find it. What should i do? Or everyone have this? This graphics not should be more white or more visibility? Just found this mod is ILLEGAL and will get you BANNED!!!! I was trying to get it on my iOS finally said forget it. 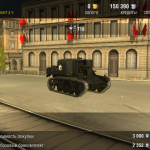 I have crash sometimes when i play on M3 Lee. Very good. You’ve added all tanks from japanse tree (5+ tiers). But in further versions could you add german light tanks line as well. sirve para la versión 2.8? Is this file made for 2.8? hope you all know that this is an illegal mod for blitz and you can get permanently banned for downloading it. pls stop spittin out venom if u dont kno them facts. NOT ILLEGAL nor mod or its use. Dont troll, moron. Hit skin mods are illegal. Pls add the new Tanks in game. People still waiting for upgrade this mod. It is also the best mod in the game. 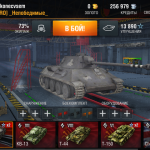 Does it work for wot blitz version 2.1.1.0? 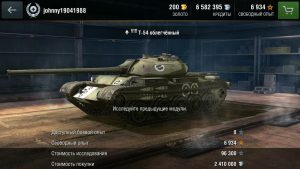 Plase for all tanks ??? you have to encode the files to be able to play this mod on iOS. btw, I did the all the encodes myself using PVR tools, just google if you don’t believe me. I’ve got to agree with Robert, all we heard when the price of everything was high was because of the demand from China and India, their econonies (and demands) are tanking now so why the increase ?I smell artificial market maunlipation (aka the government) going on! Good work. But where did you get the ammo rack position in M103? There shouldn’t be any in the turret. It works for version 4.1 ? No funcionó en 5.6.2 actualiza…pls.